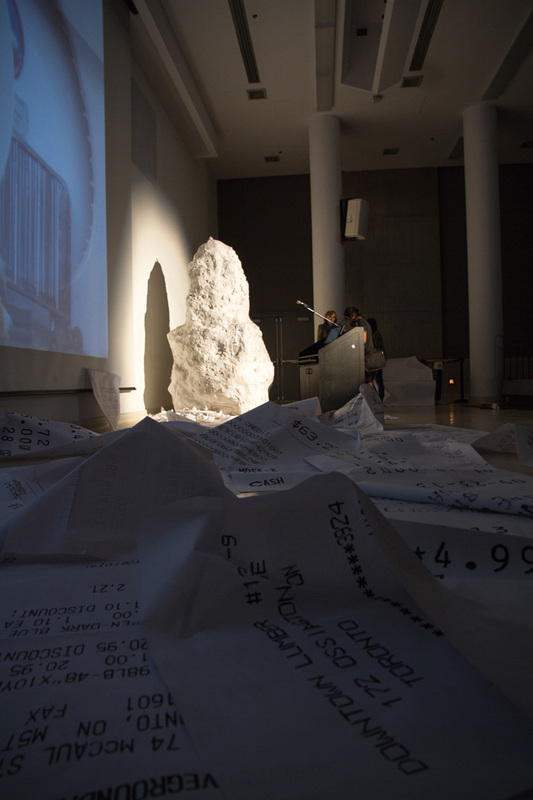 In 2013 I was appointed Curator of OCAD University's presentation of Scotiabank Nuit Blanche. My primary goal in curating this show was to have a strong conceptual current that would bind the individual projects together, while remaining fun, interactive and spectacular. I wanted the show to be enjoyable on multiple levels. For those seeking entertainment or meaning, or both—Gather would deliver. Teacher and writer John Mohawk describes nature as, "everything that supports life on the planet. " This spacious definition of nature is a powerful statement that allows for cultural production to be considered within a broader ecology where people—and what they create—are a part of nature as well. Gather explores these conceptual possibilities by bringing together works that collapse the commonly held perception that culture somehow exists separately from nature, while emphasizing the emergent social relationships that are nurtured by various environments. Anchored by a network of sculptural, kinetic and data-driven works that invite the audience to assemble, congregate and interact, Gather playfully complicates the ways that we, as natural objects and cultural subjects, can consider our own roles in a world where the natural and the urban overlap, blend and coexist. 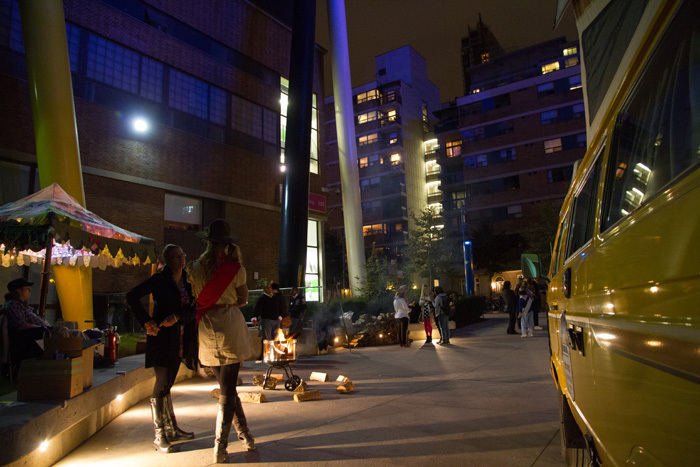 Nuit Blanche is the perfect catalyst for the blurring, shifting and transforming of social, cultural and artistic boundaries; Gather attempts to explore these ever-changing relationships by emphasizing collaboration, experience and play. Featuring Shannon Gerard's Carl Wagan Bookmobile (Butterfield Park), Annyen Lam's Great Good Place (Lambert Lounge), Christine Swintak's Anxious Auditorium (Room 190), Relay Studio's Stoke (Great Hall), and Marc De Pape's The Chime (Central Hall).